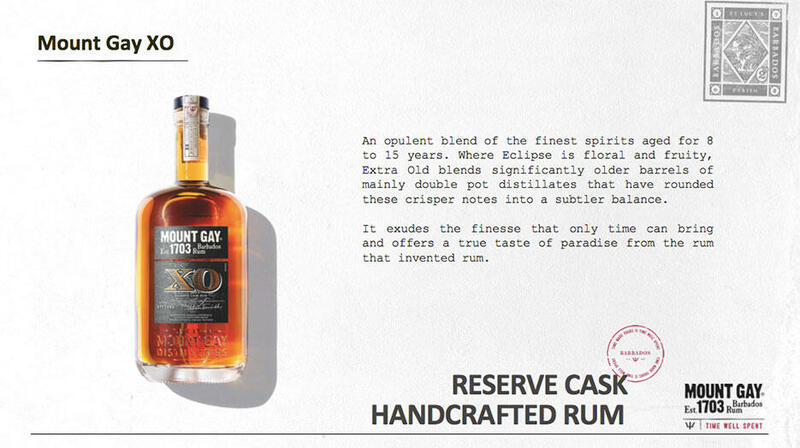 Despite having drank many-a number of Mount Gay cocktails, i recently learnt that the handcrafted rum is the world’s oldest rum producer..! Proven by a legal deed dated from 1703 confirming the existence on their sugar cane estate in Barbados, Mount Gay rum is still made using only the finest sugar cane molasses and pure water filtered through the coral heart of the island. 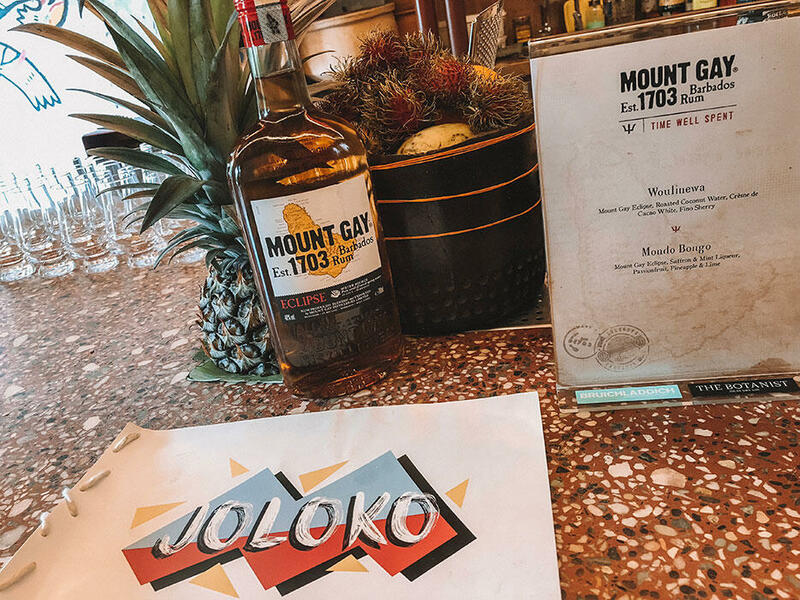 If you’re wondering why it’s called Mount Gay rum, its name honours the dude who perfected it back in the day, dear Sir John Gay. 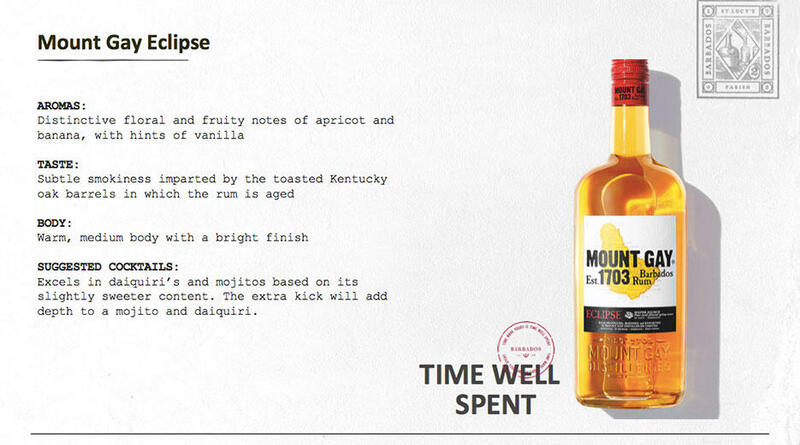 The Woulinewa had Mount Gay Eclipse, roasted coconut water, creme de cacao white, and fino sherry. 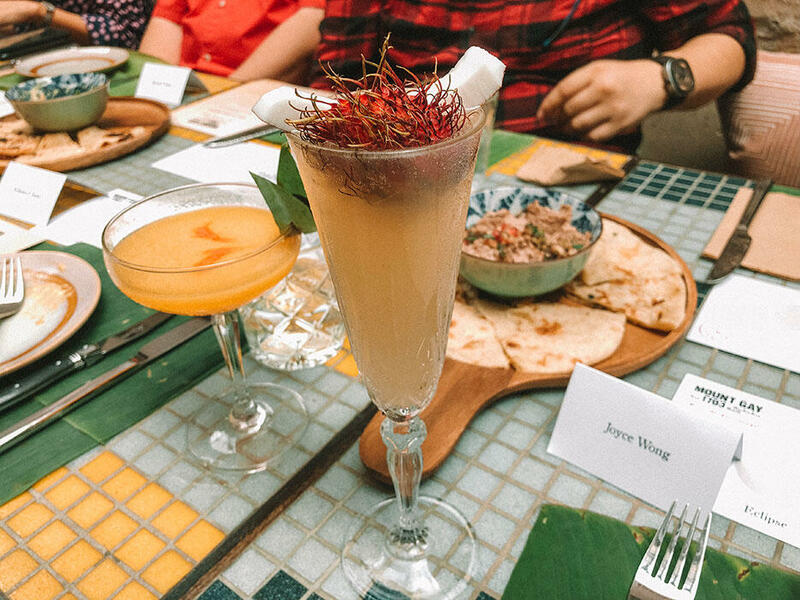 The Mondo Bongo had a funky name alongside ingredients of Mount Gay Eclipse, saffron & mint liqueur, passionfruit, pineapple and lime. Mount Gay International Brand Ambassador, Miguel Smith, was present at the luncheon to take us through the brand story. 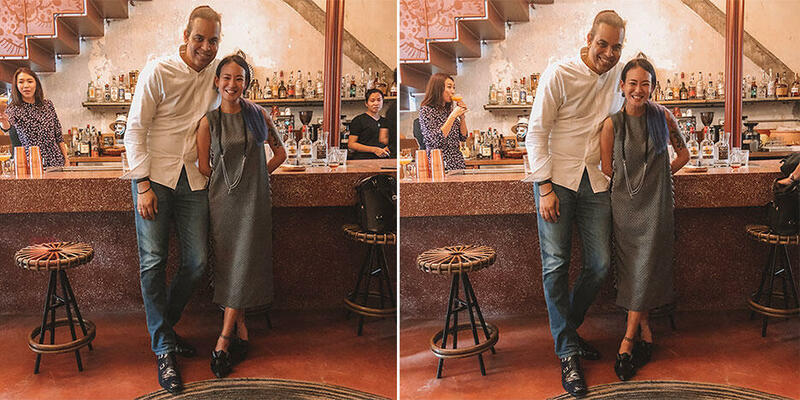 Born in Barbados and based in London, Miguel amassed over 15 years of experience in the drinks industry in Barbados and the UK (including time at Brompton Brands’ Mahiki, which i went to in 2010!, and Brompton Club); before joining the Mount Gay team to run marketing initiatives for for Europe, Asia and Pacific regions. 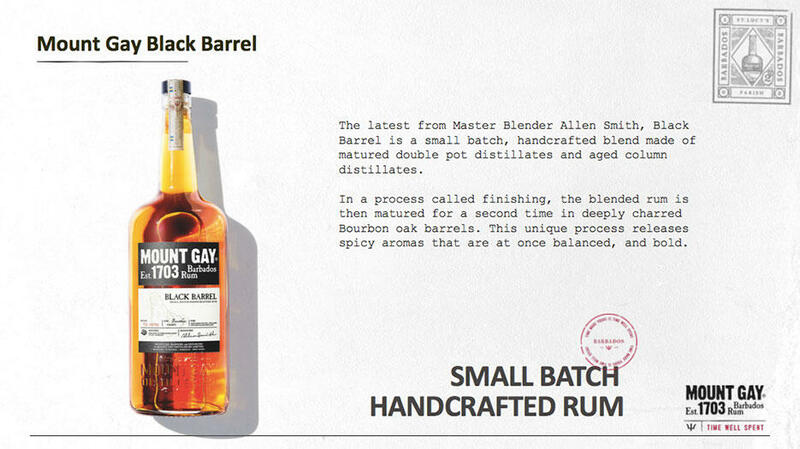 “Being born and bred in Barbados, I have a personal passion for this award-winning rum. 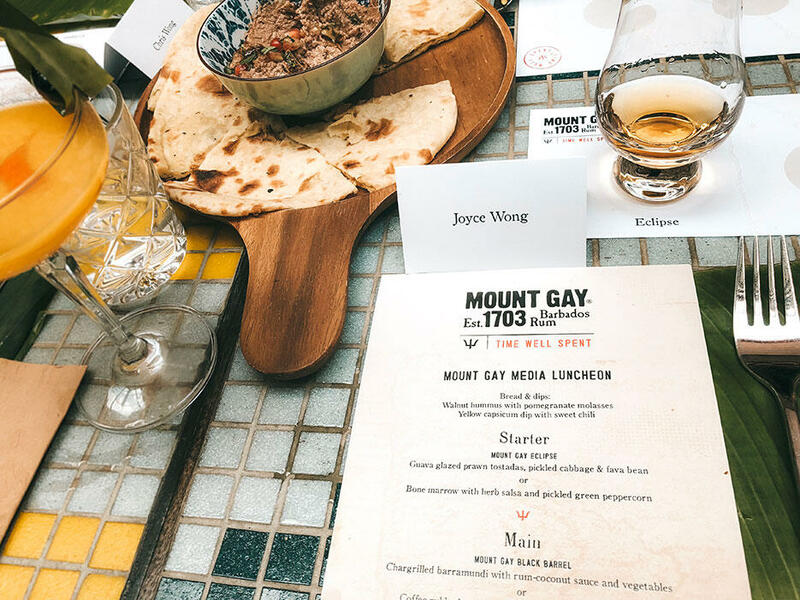 […] what makes Mount Gay so unique and special: our unparalleled history, our British heritage, our Caribbean roots, our artisanal production and of course our complex flavours. 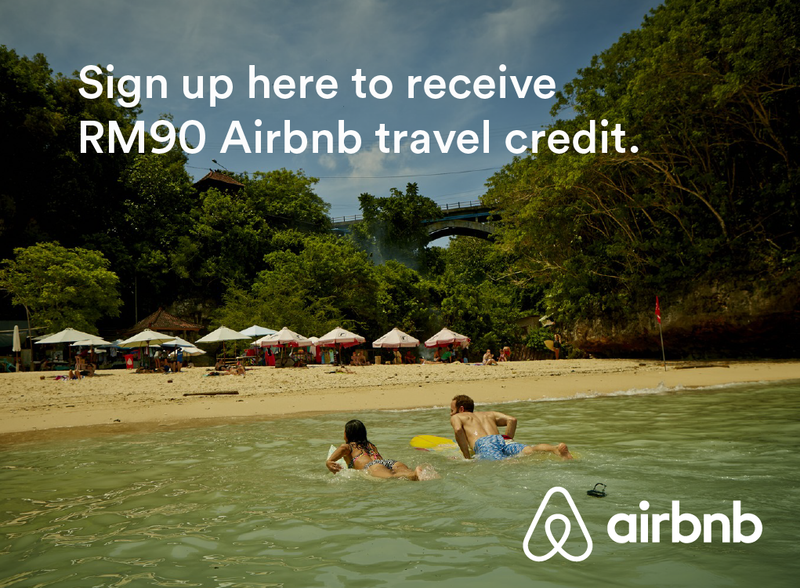 The Mount Gay portfolio in Malaysia includes Black Barrel, XO, and Eclipse. 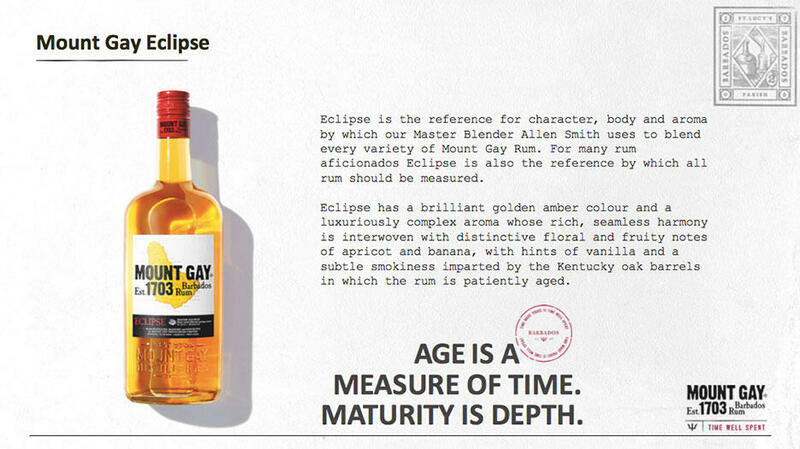 Mount Gay Eclipse is matured between 2-7 years in American whiskey casks. 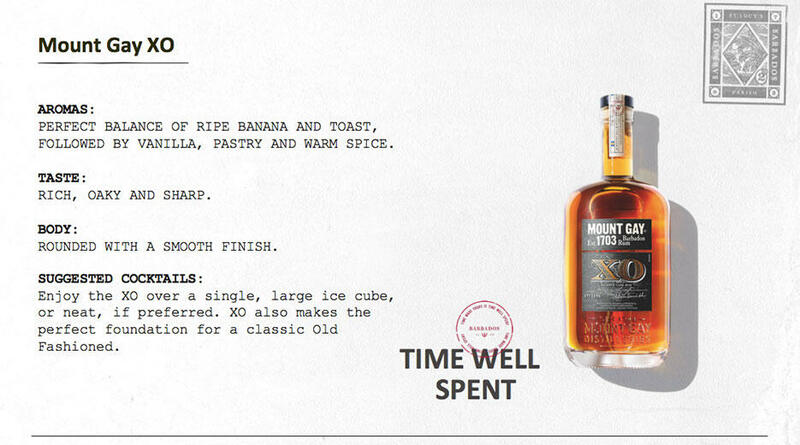 Its intensity hits you at first sip, before your tastebuds adjust – allowing a smooth disposition to follow. 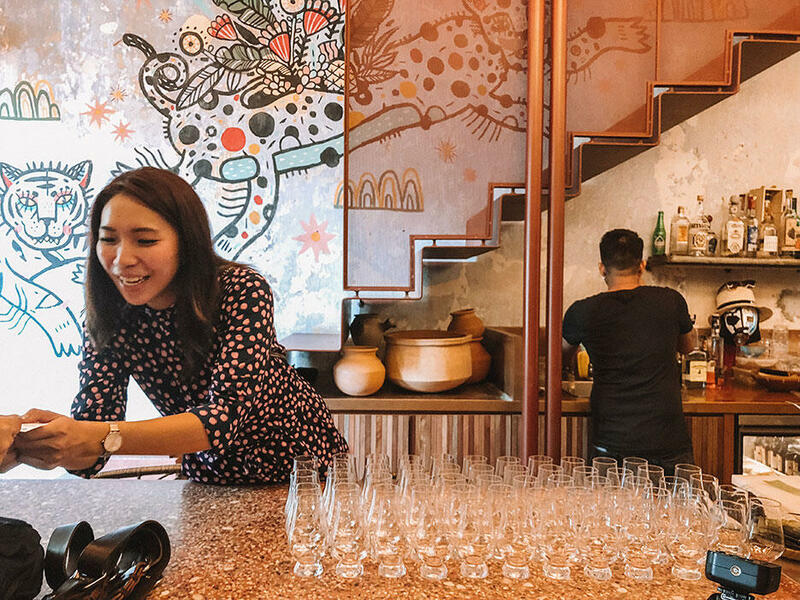 So if you’re doing a tasting and tempted to reach for water, don’t! Let your body do its thing. 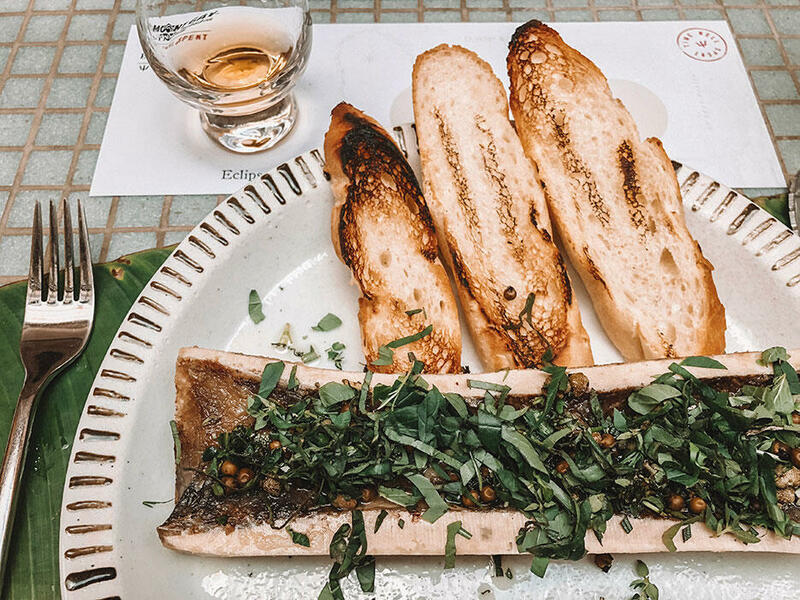 I sipped it along with my first course of bone marrow with herb salsa and pickled green peppercorns. Decadent and delish! 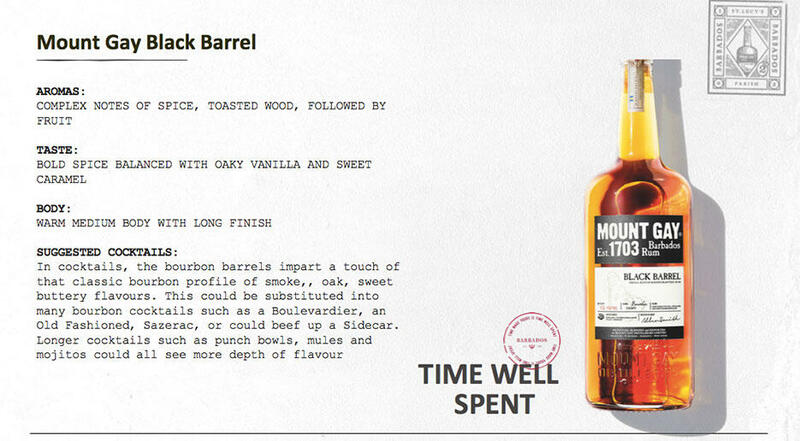 We then sampled Mount Gay Black Barrel – which has a sweetness in the middle with smoky aftertaste, proving to be the perfect bridge or intro to rum or whiskey. 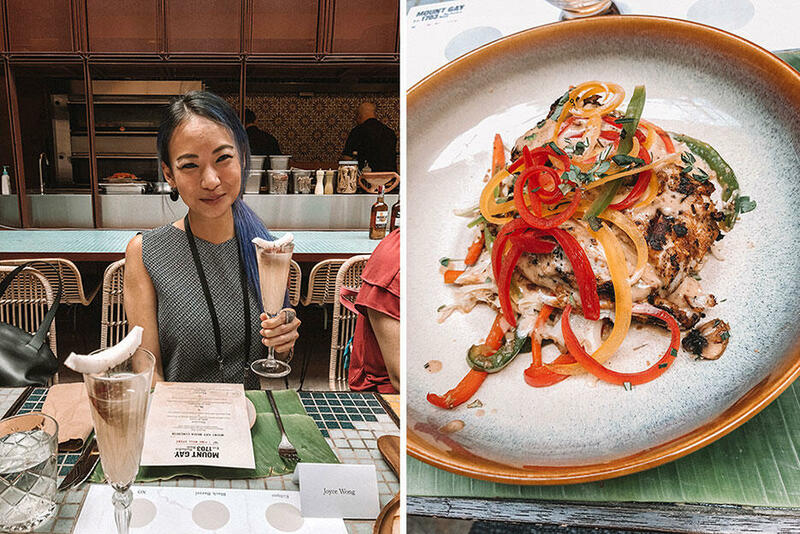 I opted for a pescetarian main of chargrilled barramundi with rum-coconut sauce and vegetables. 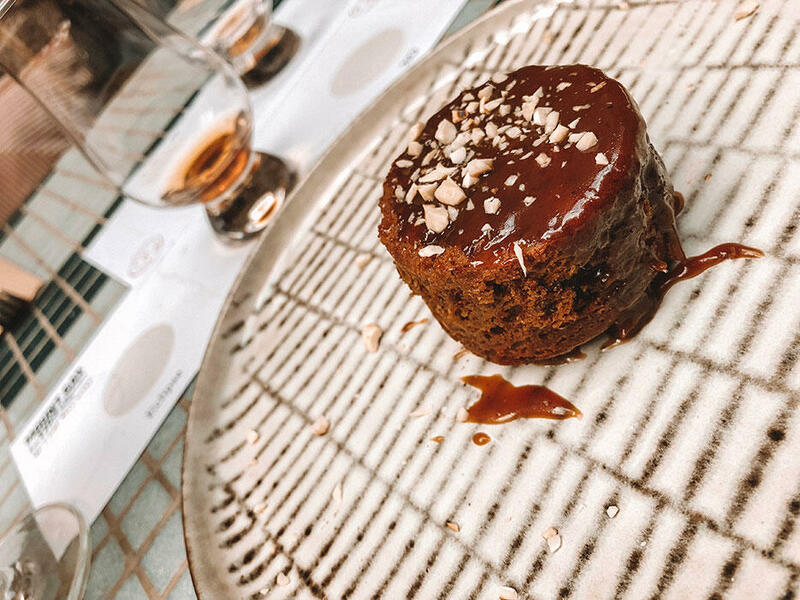 Dessert was delectable sticky date pudding with burnt butter caramel and macadamia nuts, which we were encouraged to pour our Mount Gay XO upon. 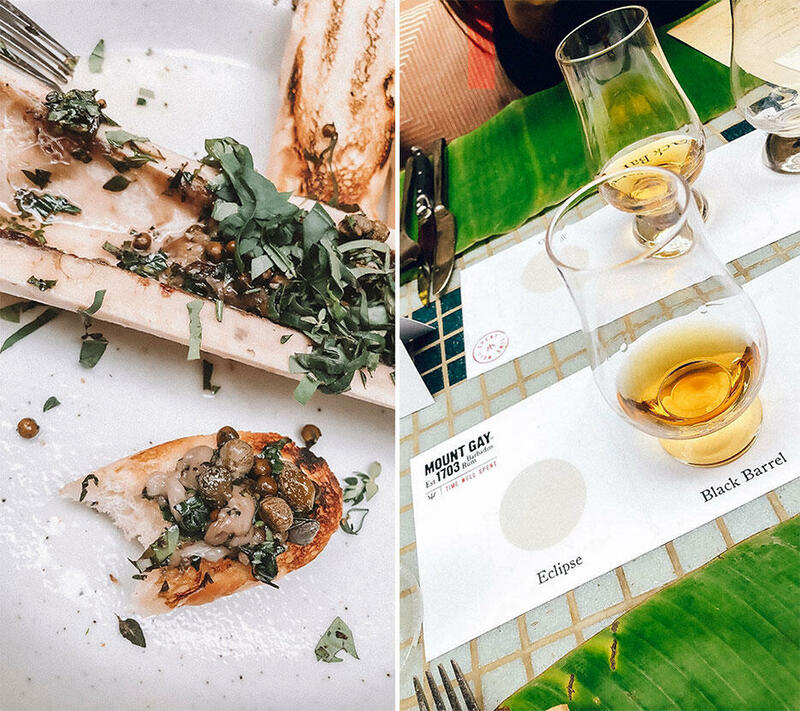 The rum of 7-15 years maturity brewed more character with hints of cacao, vanilla, cherries, raisins, and stewed fruits; perfect to pair with the dessert! Actually, i don’t have a major sweet tooth, and this attributed greatly to my polishing it off. Vasenta from FEMALE, me, and Aileen from Women’s Weekly. Thanks for having me Mount Gay! 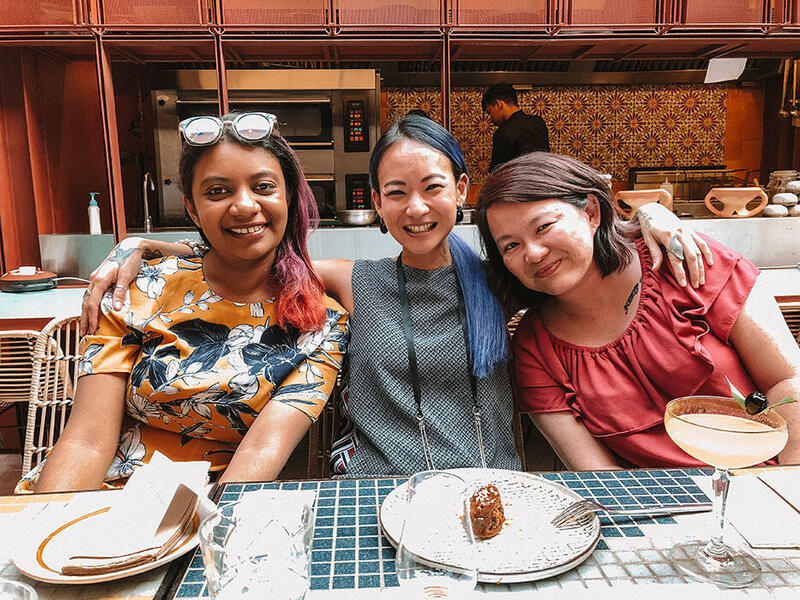 More rum and more fun to come!